Look at that face. I can't remember what had annoyed her but its given me (another) glimpse of the teens! oh goodness! 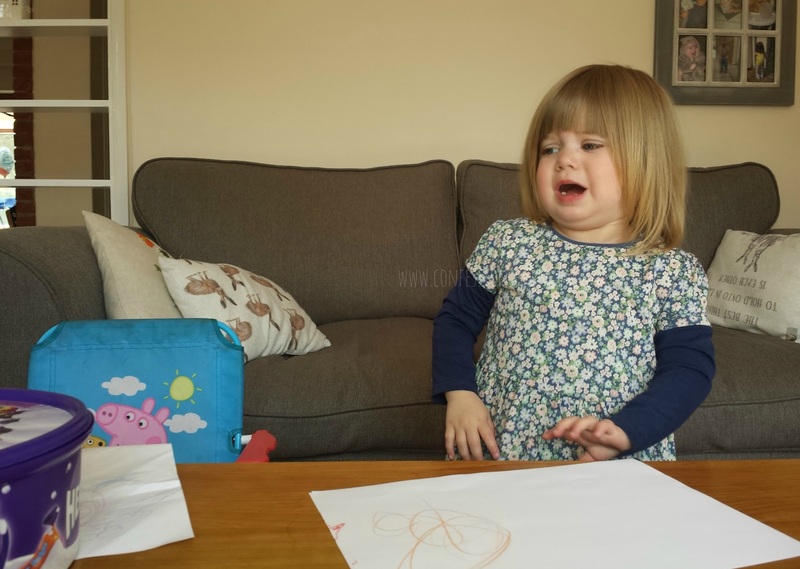 Looks like she is taking her anger out on Peppa Pig!